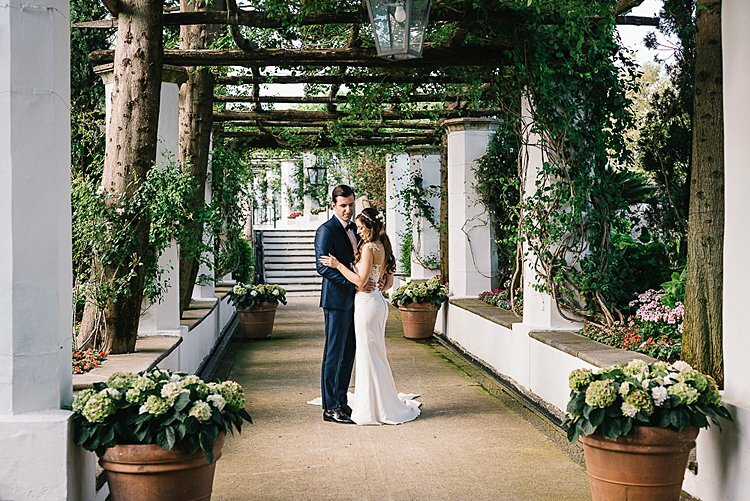 We knew we were going to love Francesca and Brad’s London Jewish wedding the moment we learned the couple found inspiration for their gorgeous white floral chuppah (the perfect place to put their Smash Glass pouch to use) right here on STG — do these two know the way to a wedding blogger’s heart, or what?! 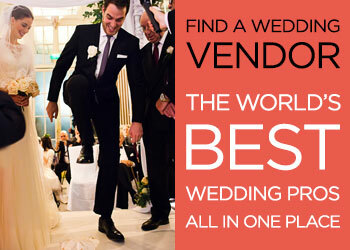 Of course, it doesn’t hurt that Francesca, who works in finance as head of customer service, and Brad, who works for Linzi, his family’s shoe business, worked with some of our very favorite Smashing The Glass Recommended Vendors, from the wonderful Mirror Mirror, where the bride found her fishtail Nurit Hen gown, to powerhouse band Totem — as Francesca says, “no one gets a party started like they do”! And then there’s the couple’s wedding planner, Smashing The Glass Recommended Vendor Rachel Flax. 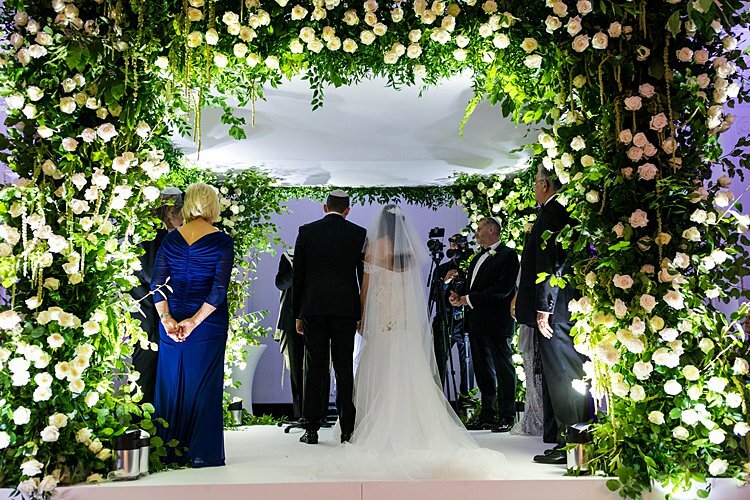 She brought their dreams of a fresh white ballroom aesthetic to life — and, even more importantly, took the stress right out of planning. So much so that Francesca’s top tip for other couples planning weddings is “get a Rachel Flax”! 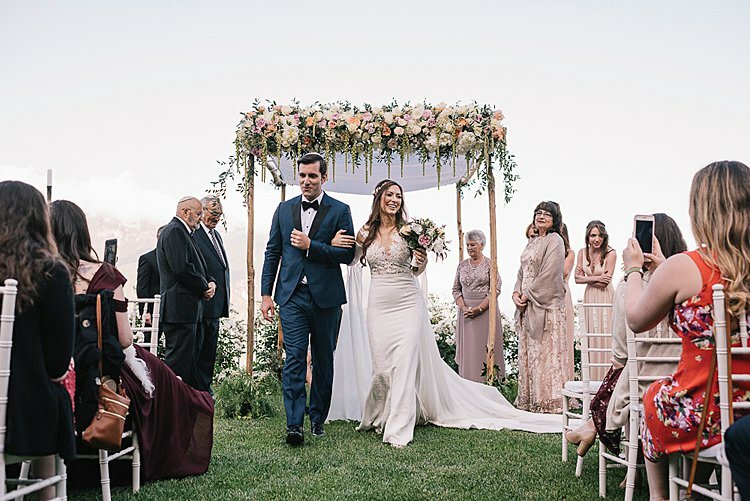 Photographer Benjamin Toms and videographer AtMotion captured all the excitement of the big day so perfectly — read on for all the fun details from Francesca! 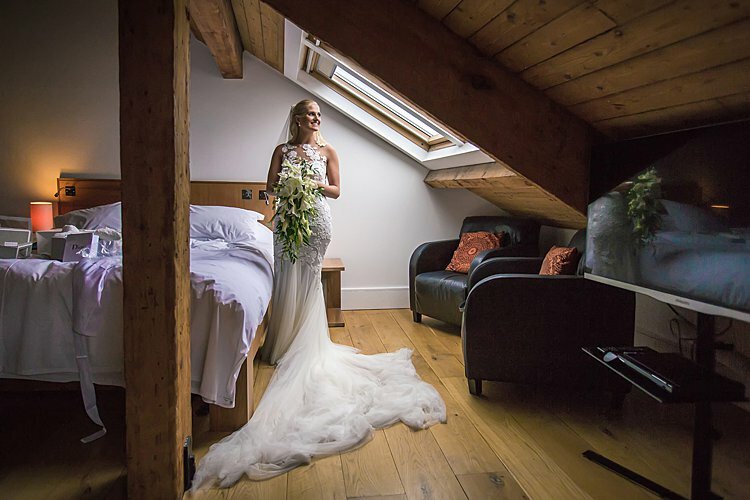 Francesca, the bride: We had always known each other from school although we were in different years, but we met and started talking in a Tesco car park on my 17th birthday and have been inseparable ever since. Wow. This Jewish wedding. It really doesn’t get much better. Some couples want a delicate, romantic wedding. Others want their big day to be a massive party. 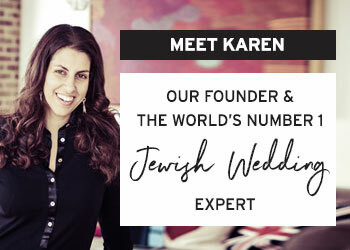 May, the marketing manager of a co-working space for doctors, and Yaniv, who’s in real estate investment, managed to make their beautiful Jewish wedding both of those things — with some help from much-loved Smashing The Glass Recommended Vendor Naama Raicher. 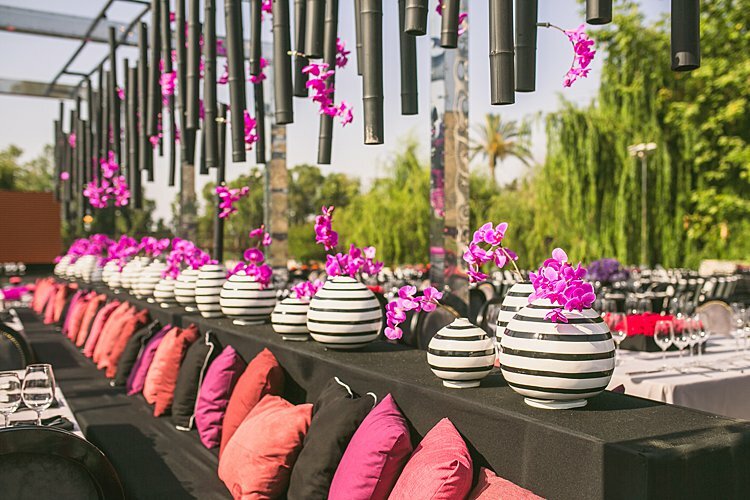 Naama, her colleague Yael Kfir Frumkes, and the rest of the team brought the duo’s dream wedding to life, providing their trademark finesse to every stage of the process from the very beginning to the day of – so much so that May reports that choosing Naama Raicher was “the best decision we made” during planning. 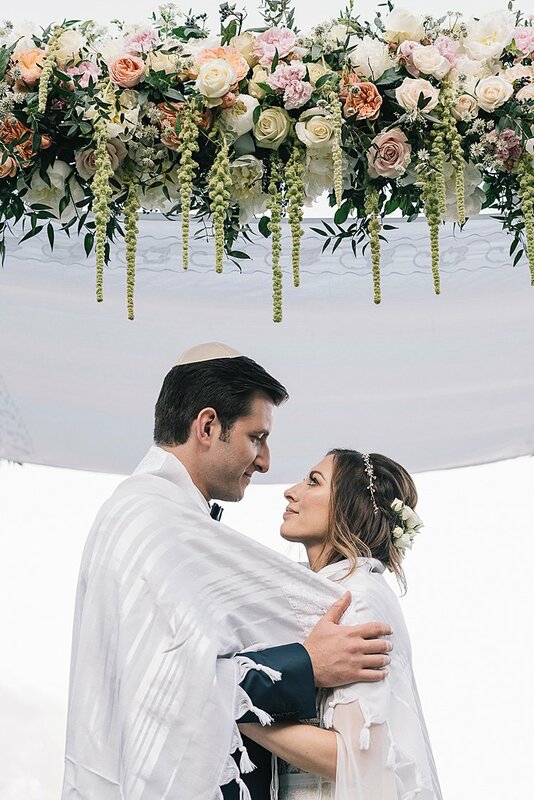 Naama and Yael helped the couple formulate their plan of action: first, an intimate late afternoon ceremony, set outdoors at the idyllic Ronit Farm, full of soft colors and romantic touches — like a totally stunning floral chuppah adorned with delicate white flowers. 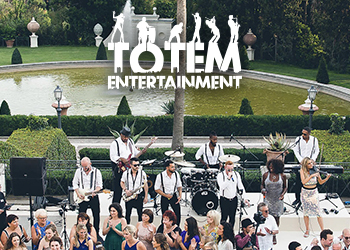 Then, for the reception, things got a little edgier: May and Yaniv brought a hit of club style to their outdoor dinner and dance party, with moody colors galore — they even brought in professional dancers (who went through four costume changes throughout the night!) 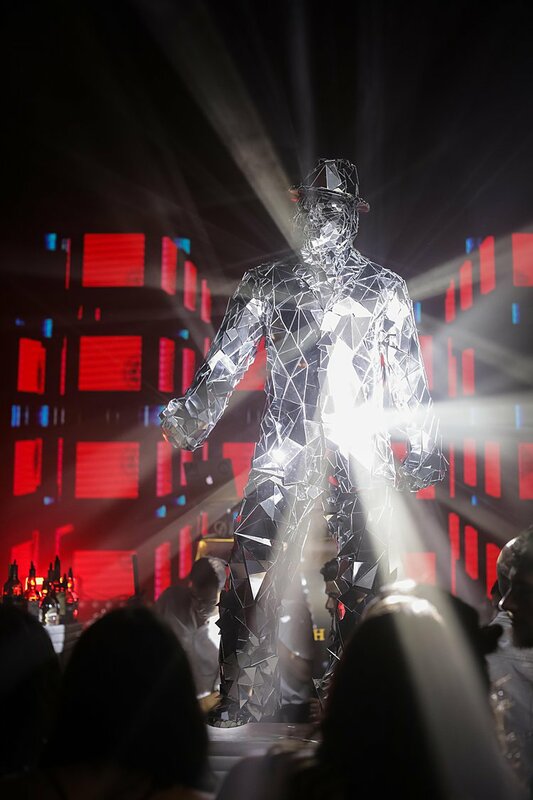 to perform on stages set on the sides of the dance floor to set the mood. May’s Francesca Miranda gown easily made the transition from ceremony chic to party mode: made from 200 meters (!) of tulle and covered with thousands of hand-embroidered butterflies, this dress is most definitely soft and whimsical… but it was also the perfect lightweight bridal attire in which to dance all night. We’ll turn you over to May in a second, but before we do we want to alert you to the fact that she and Yaniv provided one of the best favors we’ve yet encountered: loaves of fresh challah! Um, yes please! 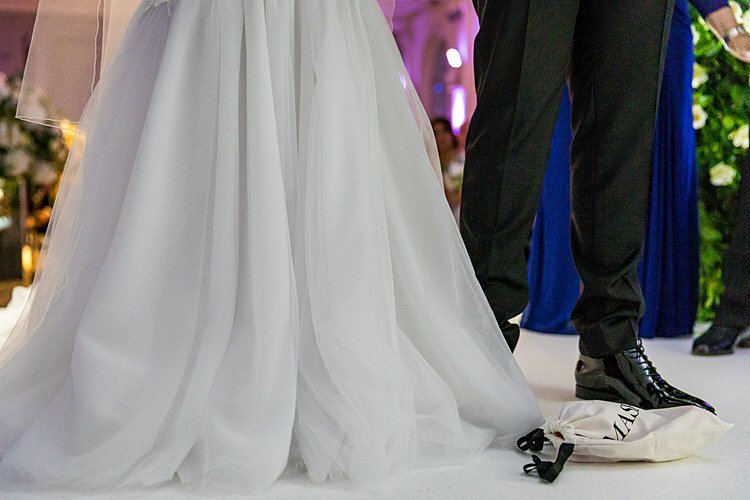 May, the bride: I was jogging on the beach one day and Yaniv noticed me running. He then found a mutual friend of ours and asked her to make the connection, and the rest is history. 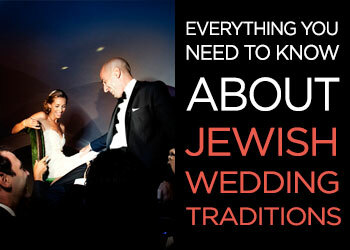 Where do we even start with this epic Jewish wedding? Catherine’s sensational bridal style? The way she and now-husband Perry, combined their NYC (hers) and London (his) backgrounds? 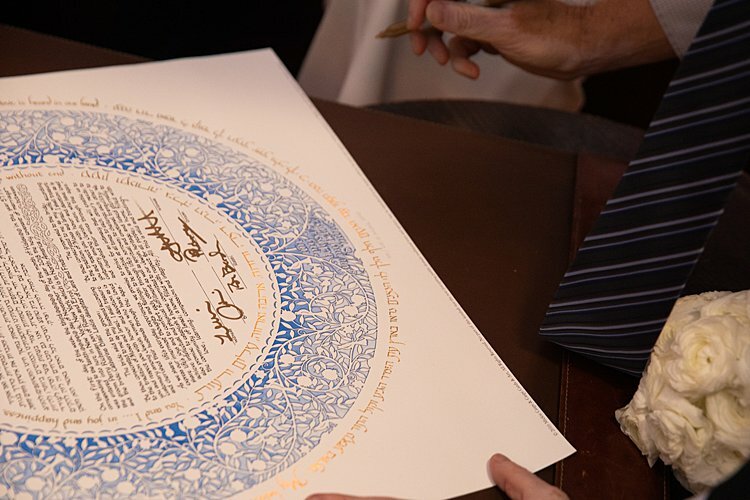 The ceremony they crafted to reflect their “Judaism Lite” approach to religion? 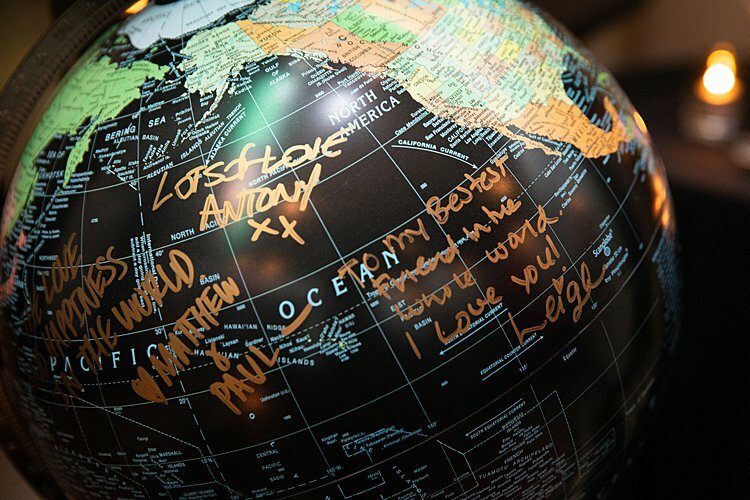 The editorial-style photography from Christopher Lane Wedding? Or maybe the fact that the bride is a beloved member of Smashing The Glass’s Brides Club? Okay, we’ll go with that last one… Catherine has the absolute sweetest things to say about the advice, tips, and resources she found through being a member of our Brides Club (and also her SMASHED IT bag for her smash glass)! 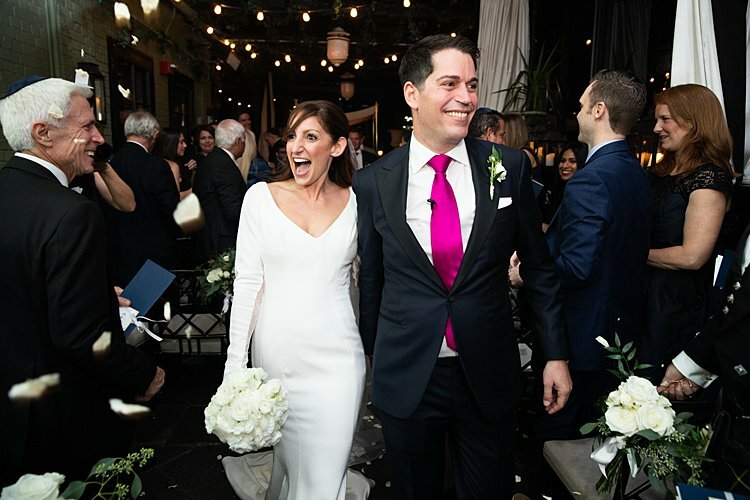 So back to Catherine’s bridal fashion sense… this super stylish bride, and she had not one but TWO gorgeous dresses: for the ceremony, an uber-glam long-sleeved Ines di Santo, and for the reception an edgier custom gown by the bride’s friend designer Paul Raymond — and we’re TOALLY obsessed with both looks. 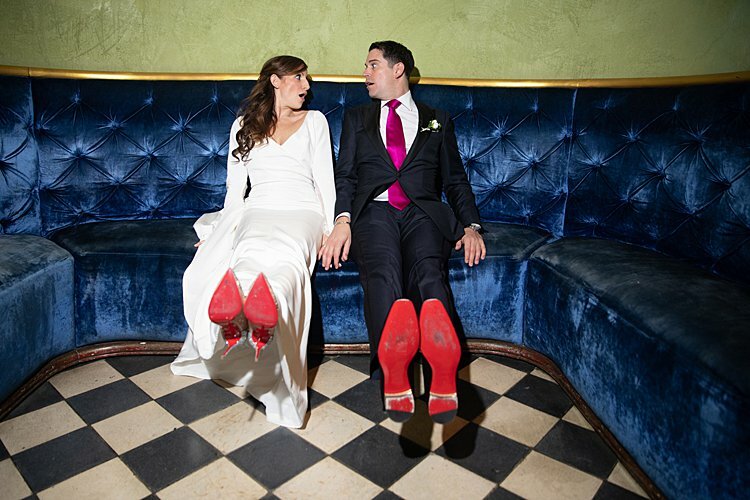 Catherine, the bride: We got married a the Gramercy Park Hotel in NYC. I had wanted to get married in the UK as my husband is from London… plus who doesn’t want to be an English countryside bride?! However, my mother put the kibosh on that (after we had already traveled to and picked the venue in England), claiming the wedding should be in the bride’s hometown. As I am born and bred NY’er, there was no shortage of venue options. We decided on the GPH as it embodied the perfect symbiosis of New York City glamour and London chic. Additionally, my parents’ first apartment was also on Gramercy park and the rooftop terrace has a Robert Mapplethorpe by Andy Warhol portrait… given my mother was Robert’s publisher while he was alive, it further supplanted the idea that the GPH was the venue for us. 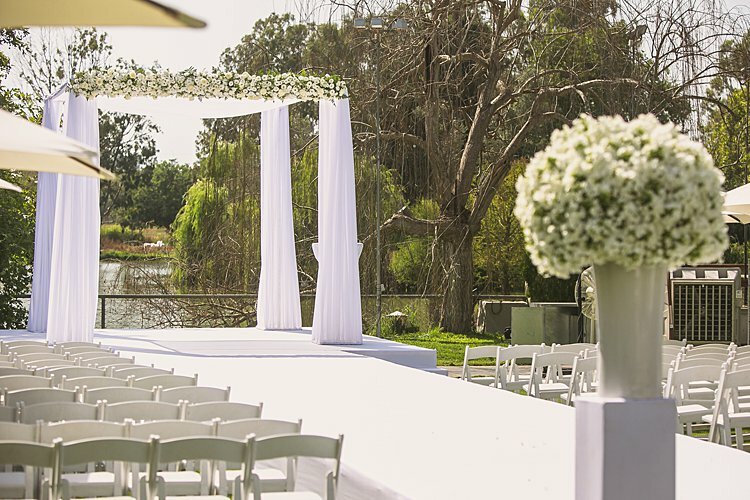 There’s not much we like better than hearing from couples that we’ve helped them plan the wedding of their dreams. 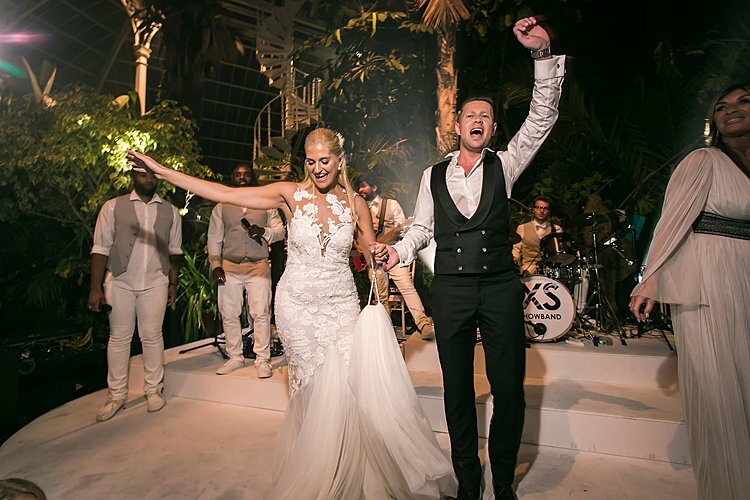 So naturally we were thrilled to hear from Hannah and Jude that they booked Smashing The Glass Recommended Vendor XS Showband on our founder, Karen’s recommendation! Hannah, soon to be qualifying as a corporate lawyer, and Jude, a sales account manager, even squeezed in one of XS’s trademark wedding flashmobs — at the start of the ceremony, after the guests took their seats, instead of the groom walking down the aisle they found themselves in the midst of a flashmob performing Marvin Gaye’s ‘How Sweet It Is’! We’re so pleased (but not at all surprised) that the couple thought their band, who kept everyone dancing ALL night long, was “incredible beyond words” — some seriously high praise! 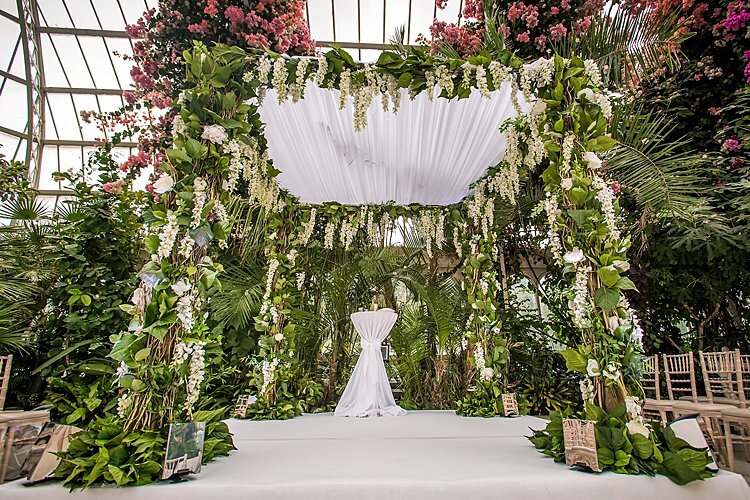 And it’s no surprise that a wedding as fabulous as this one was planned to perfection by Smashing The Glass Recommended Vendor Qube Events and Productions, who, in addition to sorting the gold-themed dà©cor and sourcing appropriate florals to complement the palm house venue the couple report, “took all the stress off” them on the day. Can’t ask for much more than that! 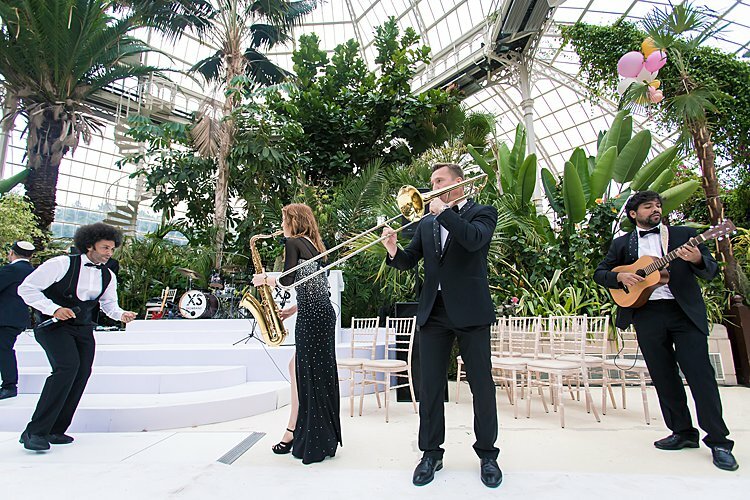 And speaking of that palm house venue — it’s a seriously stunning backdrop, captured to perfection by photographer Rob Clayton and videographer Stefan of YSD Media. 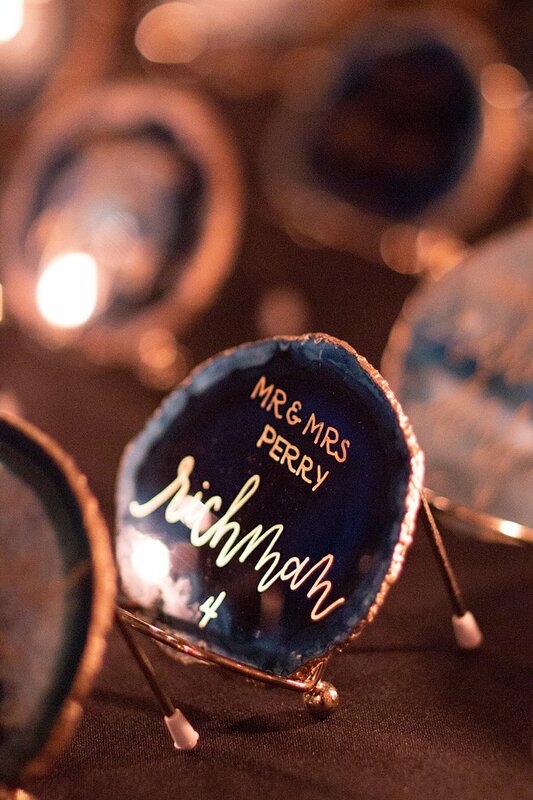 Pssst want to ensure your wedding is as memorable as Hannah & Jude’s? 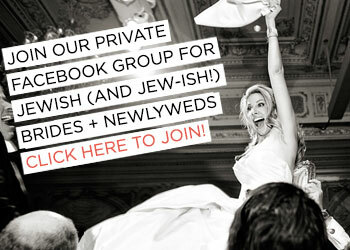 Then make sure you’re signed up to Smashing The Glass’ FREE online event for Jewish and Jew-ish Brides, happening this Monday 21st January – sign up here! Hannah, the bride: I went to Manchester University. I grew really close with the Aish campus family, which was Jude’s brother, Benji, and his wife, Shiffy, and their children. I spent alot of time with them over 4 years and had met Jude in passing but that was it. I lost touch with Benji and Shiffy and then bumped in to Benji in Manchester 3 years later and he said I had to catch up with them. I went to see them the next week which was when they mentioned Jude to me. Jude got in touch with me a couple of weeks later and that was it. We got engaged the day after our 1 year anniversary and married 9 days after our 2 year anniversary. Jude’s Auf Ruf was actually on our 2 year anniversary. 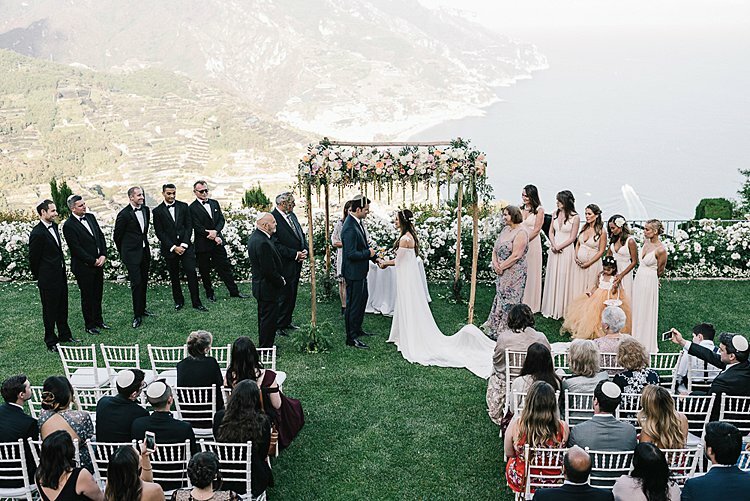 When wedding dreams come true… we love that Alicia and Arcady went from joking about what a great wedding venue the majestic Belmond Caruso would make for their very hypothetical Jewish wedding to tying the knot there four years later! 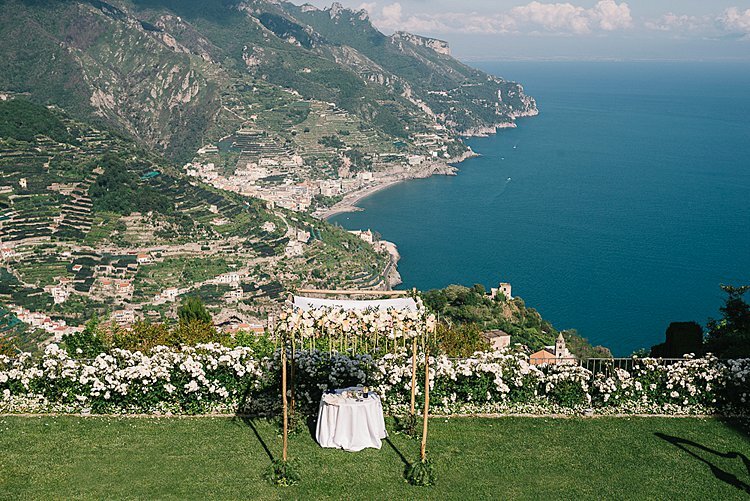 Not that you need a sentimental reason to justify a venue as outrageously gorgeous as this one — it’s basically everything the words “Amalfi Coast” probably conjure up for you, and then some. 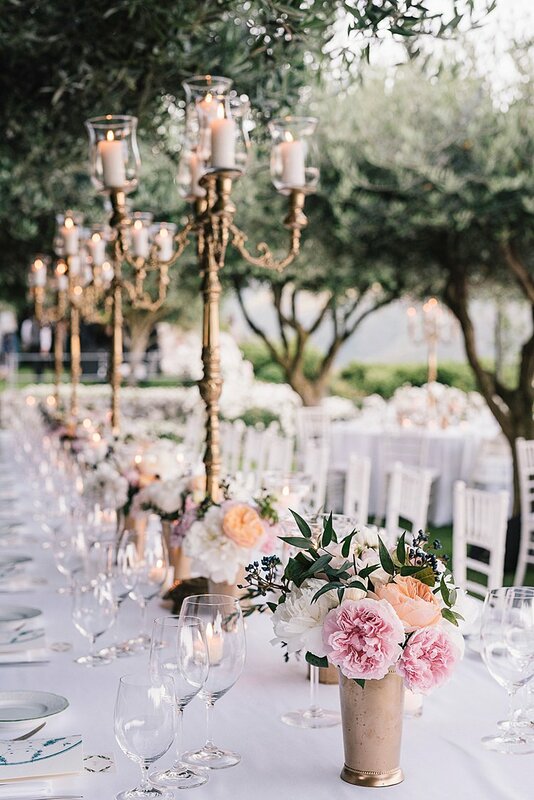 With a sweet floral chuppah overlooking the sea and an intimate outdoor reception with some serious Midsummer Night’s Dream vibes, and Smashing The Glass Recommended Vendor Gianni di Natale’s photos are pure, glorious eye candy. We love Gianni SO much! 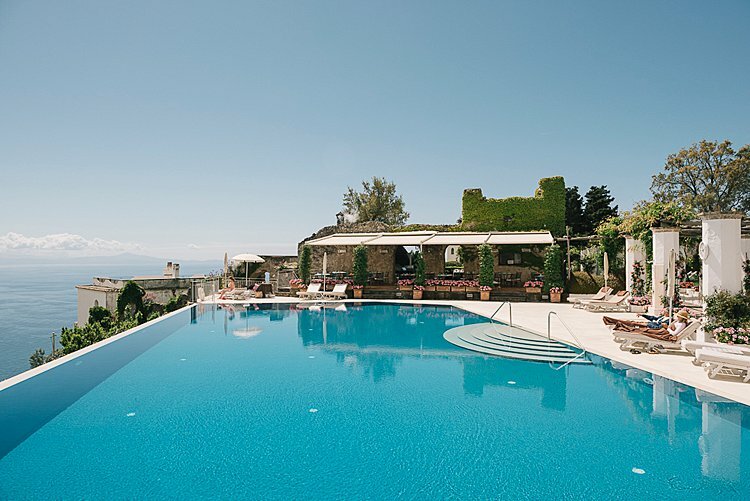 Oh, also, how sweet is it these guys brought their beloved Maltipoo, Tesla, with them all the way from San Francisco to Ravello — and then they brought him along for their honeymoon, too! Now, if that’s not devotion, we don’t know what is. Alicia, the bride: We are one of the last of our generation that met the old fashioned way, through mutual friends at a birthday party in Brookline, MA, way back in 2010. Sparks flew, and the night was filled with dancing in the street and a very romantic first kiss in a pile of fall leaves. We eventually started dating, and within 6 months decided to move to San Francisco together to start exciting jobs and go to graduate school.